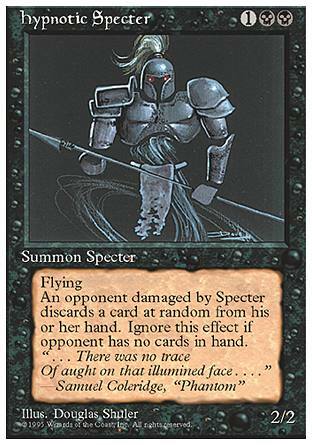 card text: Flying An opponent damaged by Specter discards a card at random from his or her hand. Ignore this effect if opponent has no cards in hand. Everyone probobly has the main point down, one ranomd acrd p ..